The faster a lead is called, the more likely a sale will result. TrackBack.Calls will integrate with existing lead management systems to track dealer responses to sales leads. It proves if follow-up calls were attempted, how quickly, when contact was made, what was the result, who made the calls and what was said. Not all customers like to be contacted by telephone and prefer to only give an email address when completing online enquiries. 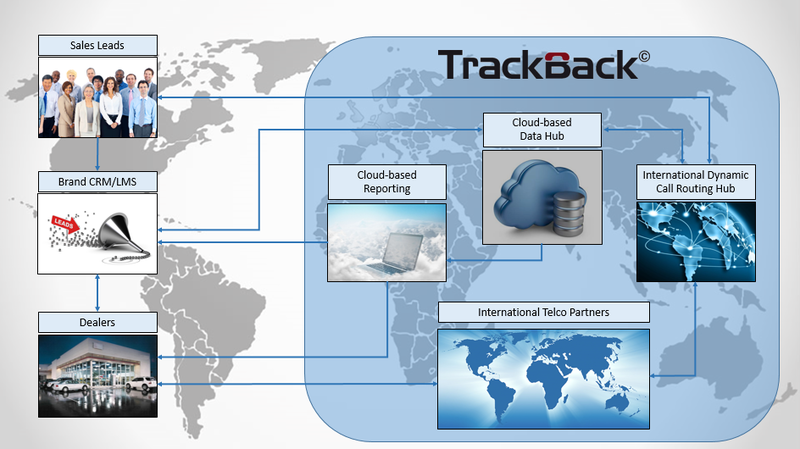 Combining TrackBack.Email with TrackBack.Calls provides a complete lead-tracking solution. The most effective way to keep customer contact staff on their toes is to witness actual customer experiences. TrackBack.Scan uses our highly trained in-house team to score selected customer call recordings to identify best practice, issues and training needs. Using trackable numbers in advertising TrackBack.Inbound shows which marketing initiatives generate calls, when and how well they’re answered. Using the TrackBack Platform’s secure web reporting, organisations can view this vital customer experience data in real time and fine tune their marketing activity accordingly. The TrackBack Platform has been developed over many years to track dealer responses to OEM sales leads. A combination of diverse client lead management systems and processes, international telecommunications networks, bespoke reporting requirements, complex business rules, and huge volumes of data and calls all performing reliably 24/7 to deliver real-time results for clients around the world has over the course of the past decade thrown up many challenges. Our technology centres in Southampton and Singapore are continually working to stay at the cutting edge of technology whilst never compromising on the great reputation we have earned the hard way. We deliver a TrackBack product that is robust, easy to use and elegantly designed. Behind the scenes our technology is highly complex, but from a client perspective it always appears deceptively simple. Offer multi-lingual voice prompts and reporting. In some markets we cater for more than one language within each call. If you would like to learn more about our technology and the challenges that we have faced please click here. Set-up. TrackBack integrates easily with clients’ existing CRM systems and can take as little as 4 weeks to implement. License Fees. The TrackBack Platform is hosted on Amazon Web Services. It substitutes trackable contact details with client CRM systems; controls international telecom switches and email servers; and provides real-time reporting. Per Lead Charge. Clients typically pay a few pence to add each lead to TrackBack. It often costs our clients tens or even hundreds of pounds to generate each lead, so a few pence to make sure they’re contacted is a sensible insurance. Call Charges. Dealers only ever pay for a local call to connect with the international TrackBack telecom network – even if the call connects to a lead’s mobile number. Once the call reaches the TrackBack system, a second leg of the routing dials the lead using least cost high quality routing. Clients pay these ‘outbound’ call charges at cost plus a nominal handling fee. Trackback enables an extraordinary insight into retailer speed and quality of lead follow-up. Within days of using this product we were…..
TrackBack© assisted us to start understanding what was happening with our contact rates. Were the Dealers contacting the customers? TrackBack© assisted us to start understanding what was happening with our contact rates. Were the Dealers contacting the customers? How quickly were they were contacting the customers? Were they contacting the customers and actually getting a result? So were they getting them on to the next phase into the dealership? TrackBack facilitates all calls and sales enquiries down to the individual customer.